The sequel of "What do you think about Japanese tradition and culture?" Do you remember that I wrote an article with this same title on the 27th of January? Haven't you read it yet? Then, please back to this page. "What Japanese food did you try that you didn't like?" "Please tell us about food from your country which other people don't like?" I waited for about 2 months and now I'm giving you their answers..
Actually, we haven't got any answers to the 1st question.. can you believe everyone likes all Japanese food so far??? 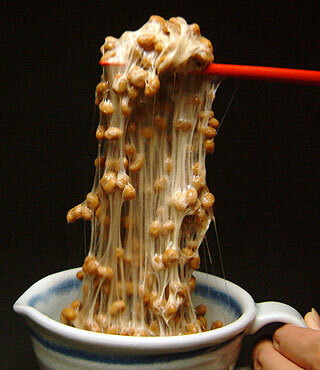 even Natto??? ･･・ what will happen if we ask them to have a party to cook their meal at J-Hoppers one day..